When we try to make changes, we can feel pulled back towards our starting point. We can end up feeling like we keep taking steps back instead of moving forward. 'Coaching through Chaos' was developed by Dr. Mullen as a way of understanding that push/pull between success and remaining stuck. She will help you map out a plan for change and design a plan to most efficiently help you achieve your goals! 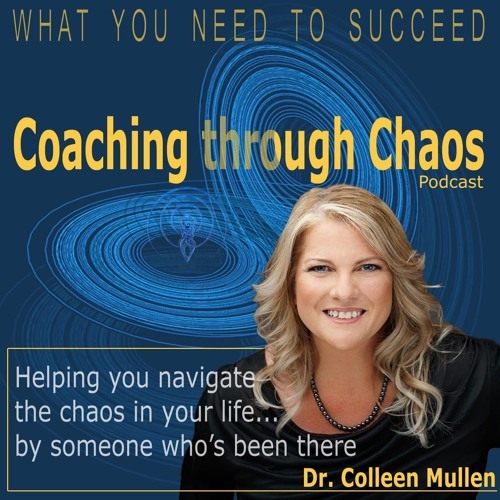 The Coaching Through Chaos podcast will bring you resources to help you succeed. Each episode features a guest expert providing helpful resources to enhance your life. We've got episodes covering relationships, finance, stress, conflict resolution, healthy living, addiction recovery , health and fitness, money management, success coaching and veteran projects.